Well then, if a weed pops up, and I like it’s placement and appearance, then it’s not really a weed, is it? 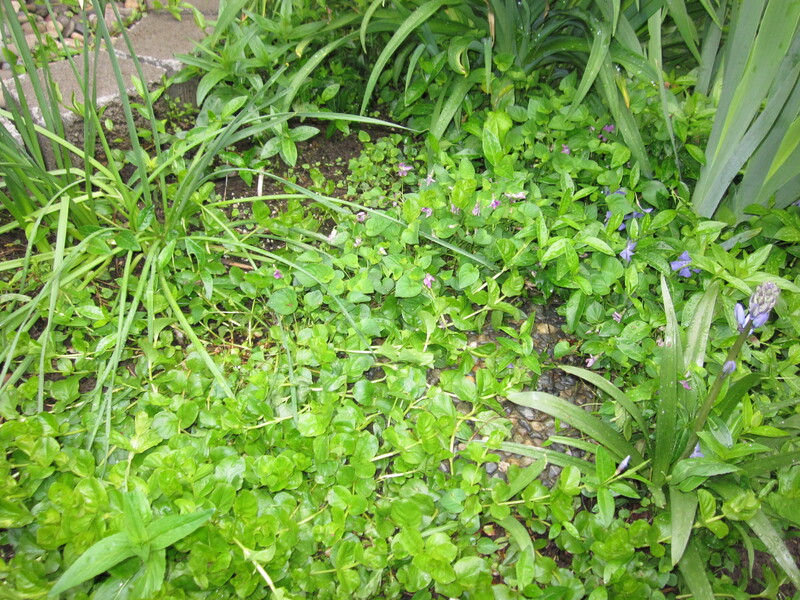 Case in point: wild violets. These appeared first last summer and I let them stay, not really sure what they were but they were cute and dwarfy and I liked them. No flowers. 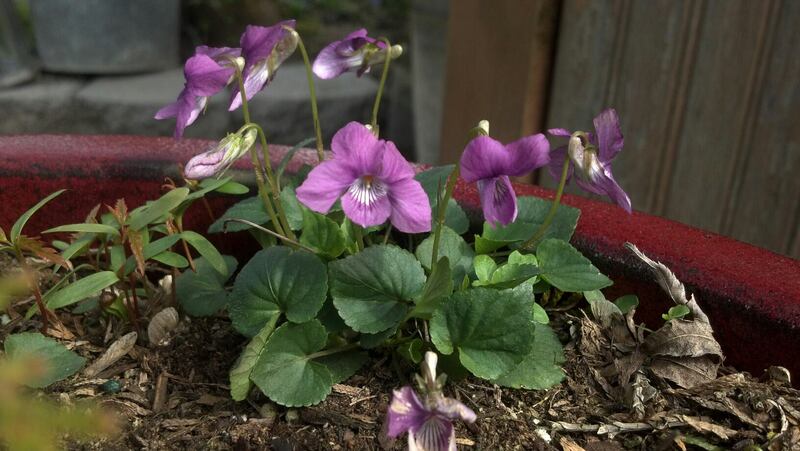 This year they’ve really taken off and they bloomed (thus we were able to identify the plant as a violet) and I’m hoping they spread even more. 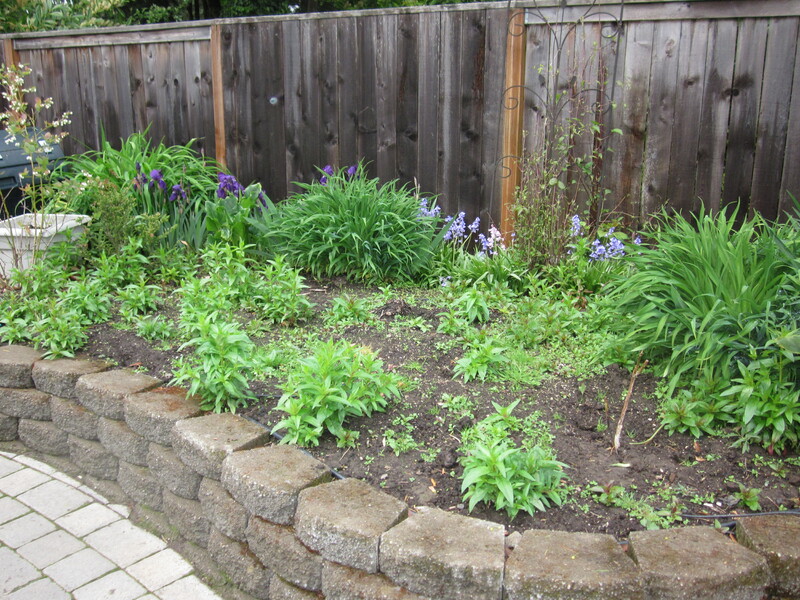 But it’s pretty and they’ve spread throughout our retaining wall garden, filling in some of the vacant areas (along with some vinca and some other “weed” type plant) and I love it! 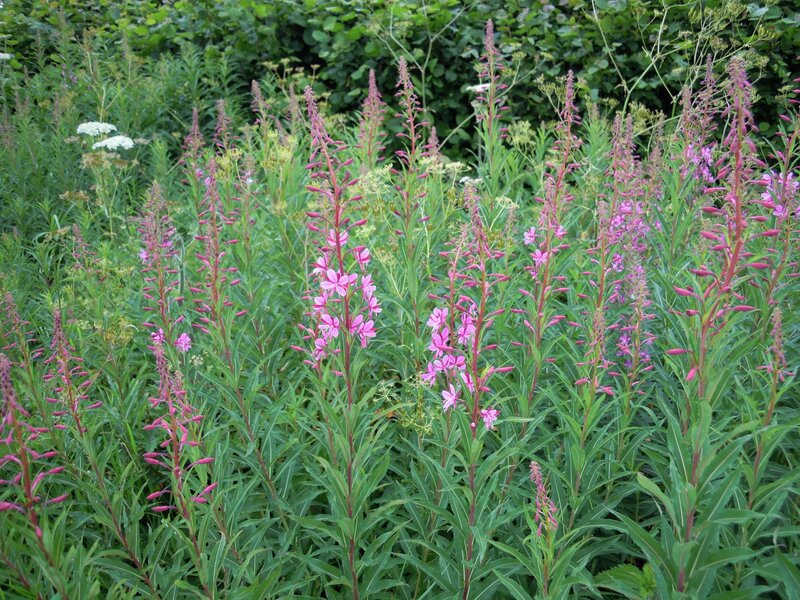 Yes, I see other “weeds” mixed in there….the dreaded Willowherb for example. 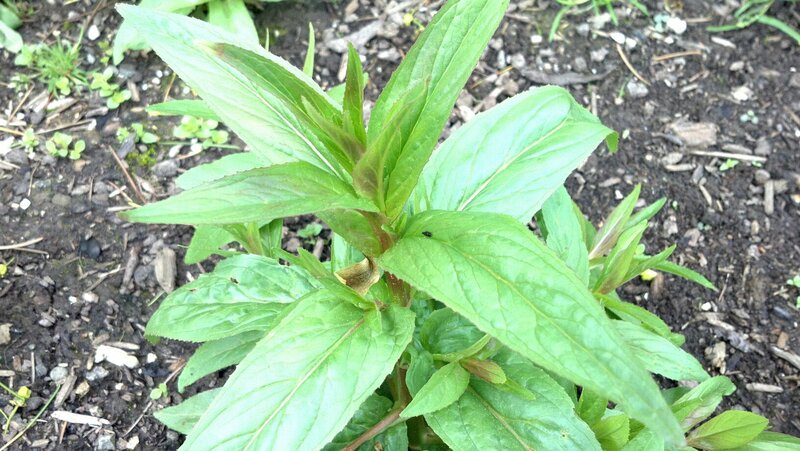 But what is this one in the front with the broad rounded leaves? 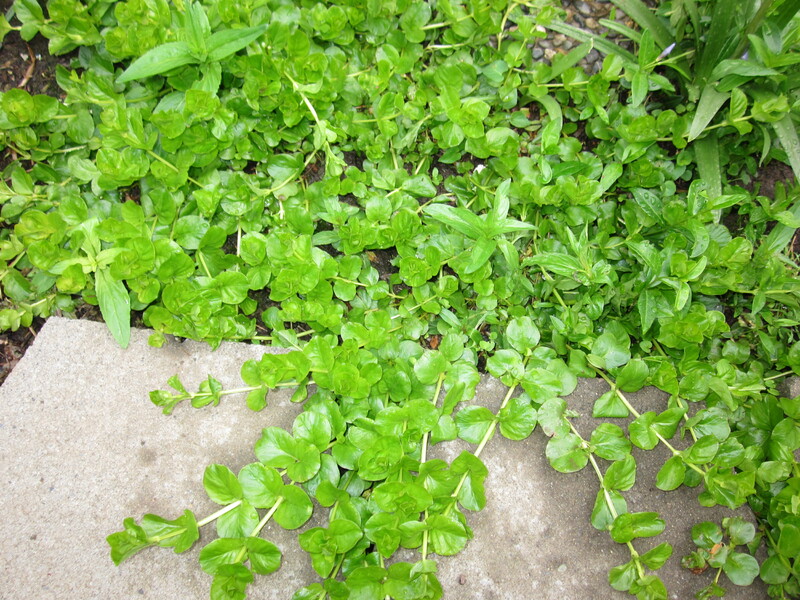 It kind of looks like immature vinca taking off and spreading (but not flowering)? See how it’s all leggy? Doesn’t branch or bush out? So I sent a message off to Farmington Gardens to see what they say…. 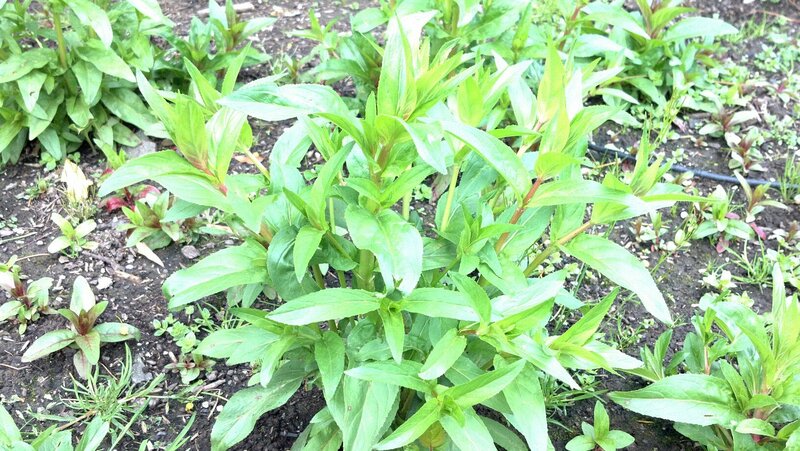 Hmmmm…..I suppose it’s possible that I shattered crowns of Willow Herb causing them to branch and bush up, but there’s just too many in my yard to confirm that is indeed the case. Little delicate flowers. The leaves don’t look quite right. 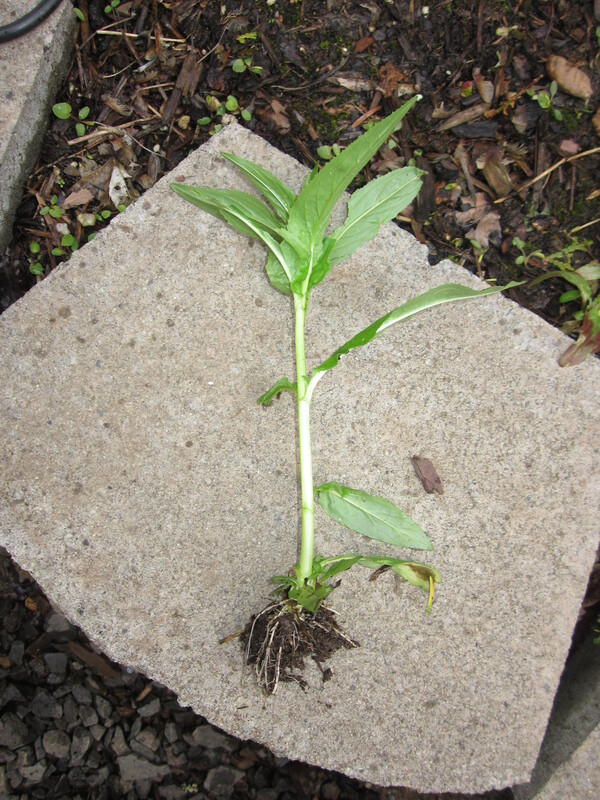 So I went out in the backyard to double-check my “weeds” and see if it could be penstamon, and I’m thinking it’s not. 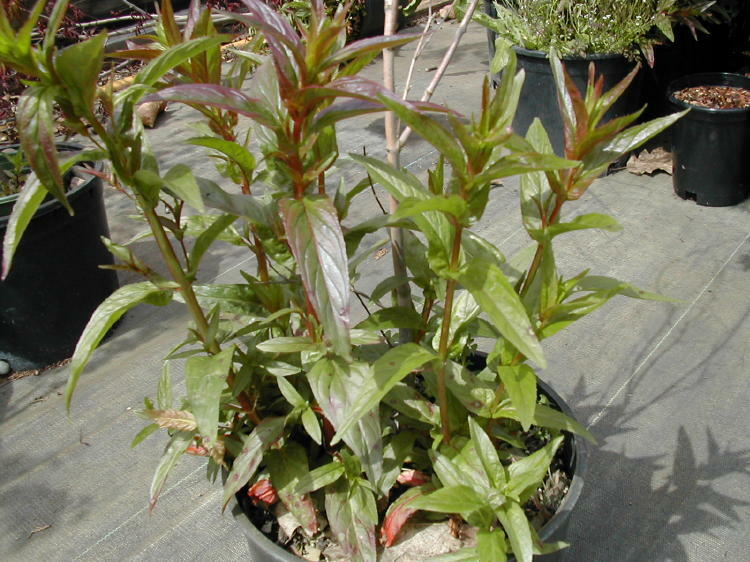 But when I googled Willow Herb, that still doesn’t look right….see how leggy they are? Mine aren’t leggy like that. 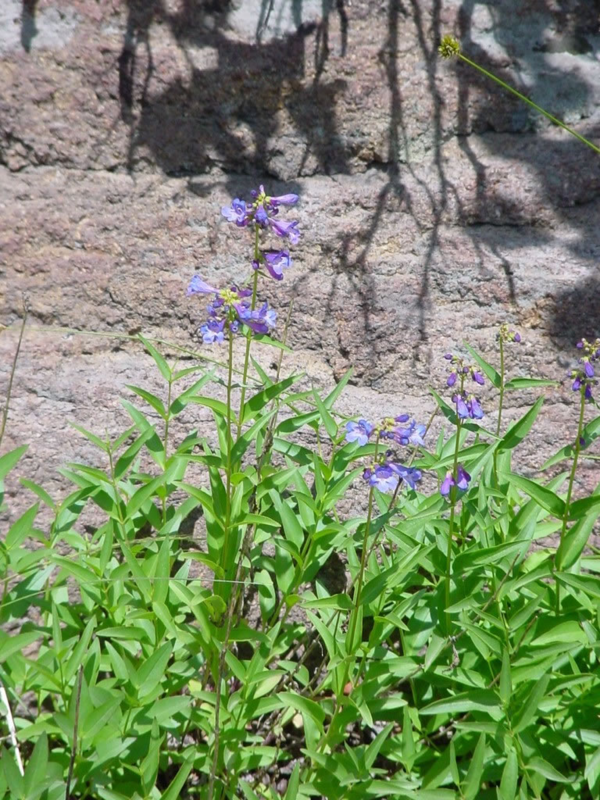 And I have several large “clumps” of whatever this plant is. I think for now, I’m going to leave them, let them flourish and keep an eye on them. Who knows, maybe they will have pretty flowers? And if they spread like wildfire, well, that ain’t necessarily a “bad” thing for that high maintenance area! Ha! Stay tuned! I hope to have this mystery solved before the end of summer. Next Next post: Is it really a Vacation?